It’s the truth. You don’t need a fancy plan. You don’t need to pay tons of money for shakes, pills and bars. All you need is some fresh food and some simple ingredients. 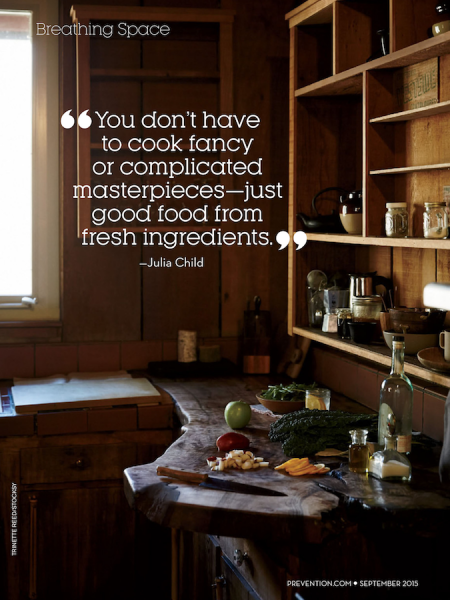 The next time you’re tempted to try an expensive food plan with delivered meals, remember this quote from Julia Child and know that all you need to do to be healthy is make simple food from fresh ingredients.